Rapper Jay-Z says that Donald Trump “cannot be my president” citing his divisive rhetoric in the presidential campaign. He was joined by his wife Beyonce, who was joined on stage with dancers in blue pantsuits to pay tribute to Clinton’s wardrobe. She urged voters in Cleveland to vote for Clinton, painting her candidacy in terms of the struggles that women suffered for generations. “Less than 100 years ago, women did not have the right to vote. Look how far we’ve come from having no voice to being on the brink of making history, again, by electing the first woman president,” she said, according to NBC News. “This is what America is my friends!” Clinton said, praising the pair for their passion and enthusiasm. Clinton specifically praised Jay-Z’s catalog of rap music. 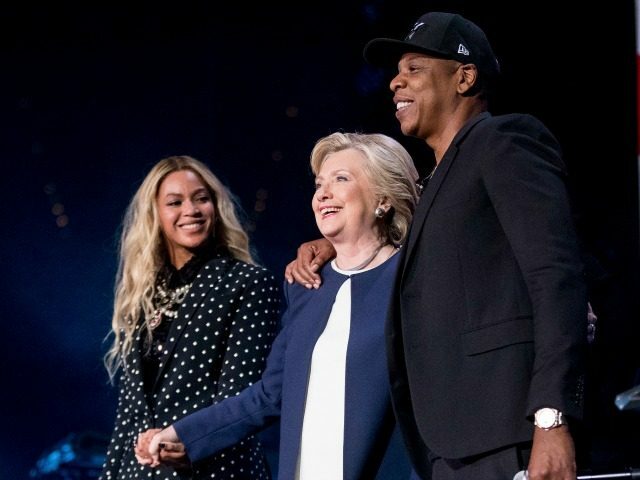 “I thank Jay for addressing in his music some of our biggest challenges in the country: poverty, racism, the urgent need for criminal justice reform,” she said.